I am curator of the Montana Diatom Collection, a 14,000-slide collection representing over 5,000 localities in the Northwest United States. The Northwest is the least populated and most unspoiled quarter of the Lower Forty-Eight. Here I am blessed to live among mountains in the shadow of the Continental Divide and close to large tracts of wild land. All of the West’s native carnivores, including lynx, wolverine, wolves, and grizzly bears, live in my home county (Lewis & Clark). 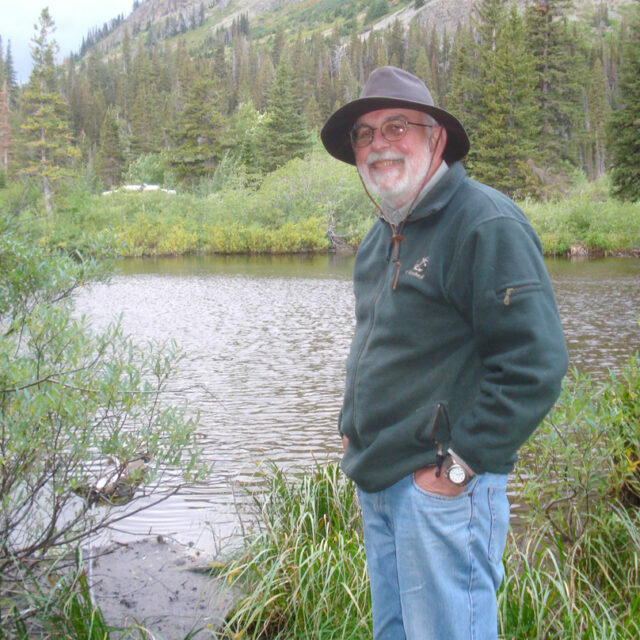 Since 1966 I have been exploring the trails and back roads of the Northern Rockies, collecting diatoms along the way. Even so, the Northwest is not well represented in major herbaria and thirty percent of diatom species in this region remain to be named and described. My diatom work is currently funded by the U.S. Social Security Administration. For SEM images contributed by Loren Bahls, electron microscopy services and resources were provided by the Electron Microscopy Facility, Division of Biological Sciences, University of Montana, Missoula, MT. The EM Facility is supported, in part, by grant #RR-16455-04 from the National Center for Research Resources, Biomedical Research Infrastructure Network, National Institute of Health.